The Canon EOS 2000D (called Canon T7 in some Regions) is a DSLR (Digital Single Lens Reflex), The EOS 2000D is Canon's Latest Entry-level DSLR Model. 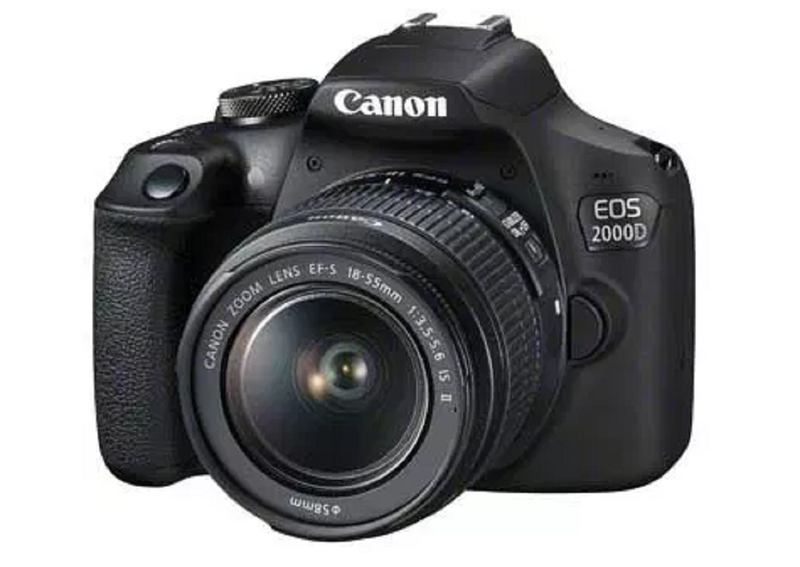 It comes with 24 Megapixel APSC Sensor, 1080p Video, 9-point AF through the Viewfinder or a contrast-based System with the 3-inch Screen, which offers an ISO Range of 100-6400, Expandable to 12800, as well as 3p fps burst Shooting. The EOS 2000D also has Wi-Fi with NFC for Easy Sharing via Canon's Camera Connect App. NFC NFC connectivity is possible only with compatible Canon or Android devices.